The Latest Flyers About the Events for Convention Days! Select a flyer to load the PDF and print it out for your fridge as a reminder! 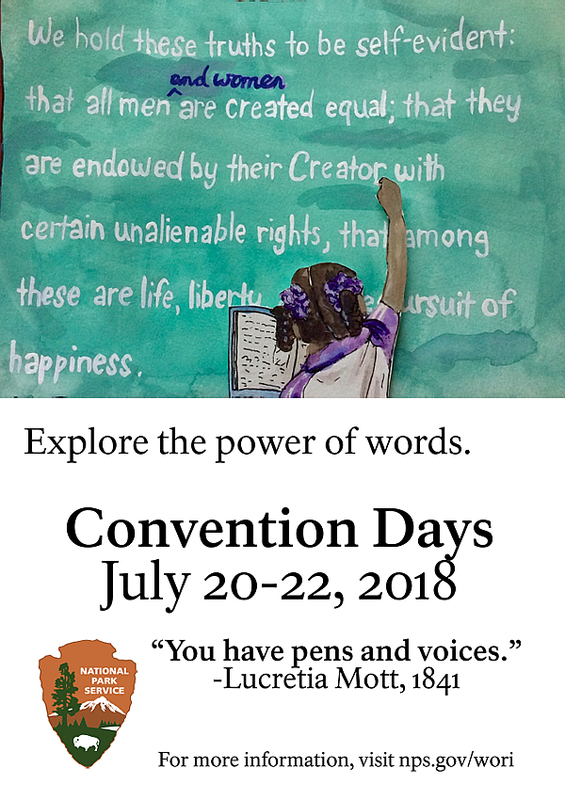 As part of its annual weekend celebration commemorating the nation's first women's rights convention, Convention Days, Inc. will honor the women and men who signed the movement's foundational document, the Declaration of Sentiments, by recognizing the descendants of the document's original signers. The 2017 Convention Days weekend marked the State of New York's commemoration of 100 years of women's full voting rights. of women getting the Right to Vote in NY State.